Welcome to the one and only website that is solely dedicated to the german Maschinenpistole mp40. 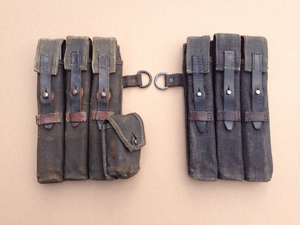 This site’s purpose is to gather and spread information about this famous worldwar 2 submachinegun as well as get in contact with mp40 collectors and enthousiastics. I have tried to be as careful as possible in writing down the information although I know a lot of information is still missing. If however you feel I’m giving the wrong information or if you have additional information please drop me an email info@mp40.nl and I will add or correct it. Any new information or photo's are very welcome as well off course! Although I enjoy investigating everything related to the mp40, I want to clearly state that I don't want to glorify war or the political system that developed these weapons in any way. Also I want to mention that owning and collecting these guns is subject to local laws and regulations. 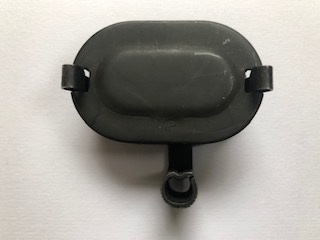 3-3-2019: It has been a while but I listed some very hard to find MP38 and MP40 accessories. 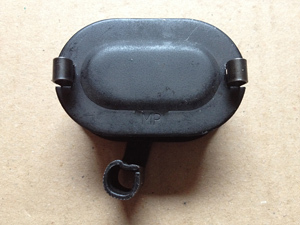 For example an orignal MP40 winter trigger and MP38 Hinged muzzle cap. Also a mix of pouches. 14-10-2018: Another remarkable video from www.forgottenweapons.com. A MP40 modified by Partisan for clandestine use. 22-9-2017: First MP40 that I have noticed being offered as "EU-Deko" on E-gun in Germany. 18-3-2017: Interesting link of an MP40 and MP44 used in the wars in Iraq and Syria. 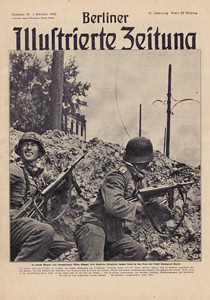 A airsoft grip sleeve is used on the grip of the MP40. A bit off topic but this is an interesting video of WW2 small arms currently being used.From 4.09 min. 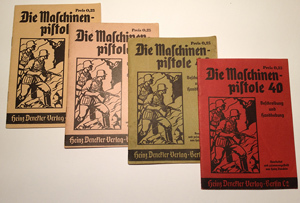 an interesting report about the MP44 being used in fairly big numbers.
. Also some other pouches, a Hinged muzzle cap for the MP38 and early MP40 and a rare D167/2 parts manual. Please let me know if you want to see any additional photos info@mp40.nl. 28-3-2016: one of the rarest accessories of the MP40 is the Wintertrigger. Some additional information taken from the D167/3 and Heeresmitteilungen have been added to the winter trigger page. There is even a note on how to make a repair if one of the legs of the wintertrigger is broken. 28-3-2016: Part of the chapter (I describe below) consisted out of a few paragraphs about the "civilian"MP40 manuals. I Have added this as well now. 21-2-2016: In 2011 I was asked to write a chapter about the MP38 and MP40 manuals. This was originally intended for a new MP40 book that unfortunately is no longer going to be published. 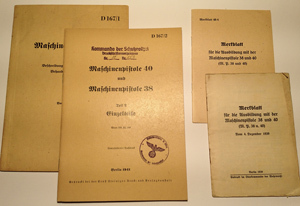 The first page about MP40 manuals contained a lot of mistakeson the website but this new page covers in detail all known MP38 and MP40 manuals. 20-2-2016: Some new items for sale or trade. 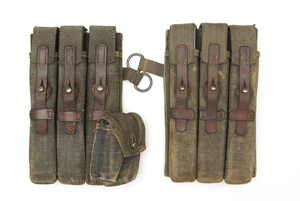 Please check if you have a pouch that matches one of these single ones. Maybe we can make a deal. 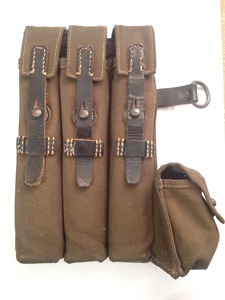 To the right a clg 43 (Ernst Melzig Lederwaren) left pouch for the MP40 in olive green.